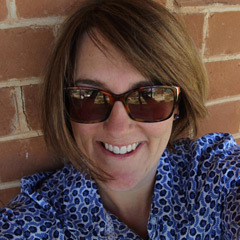 Some of you may know, or have gathered that I work in a preschool when I am not crocheting, pretending I can bake, taking photographs or being 'Mum'. We have been preparing for spring in a rather exciting way over the last few weeks. and we were all overcome by chicken fever!!! Actually it took a little longer than that but Tuesday evening, Wednesday and Thursday saw a lot of cracking, fluffy excitement for children, parents and educators alike. I was even seen at work obscenely early on a day that I do not work, with Miss B, so that she could visit before she went to school. 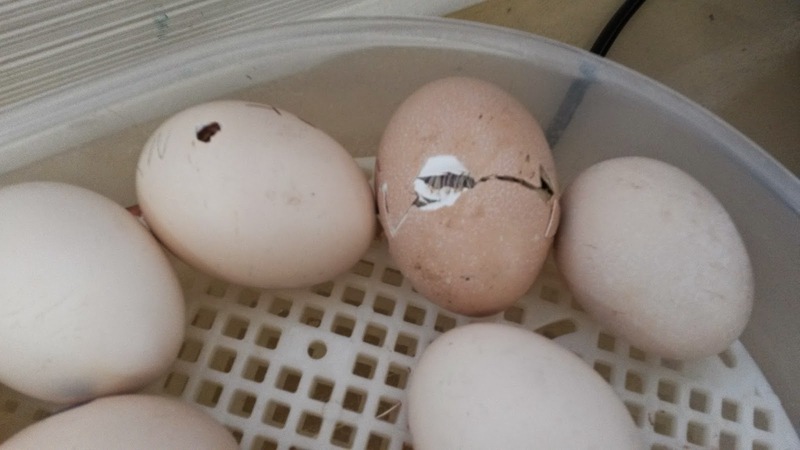 While she was there she held one (or three), named one and even though we were in danger of missing the school bell, she saw one actually hatching out of its egg. I am guessing that her class at school learnt something about eggs and chickens this week too. Growing up on a property, I have helped look after chooks, collected eggs, beat broody dears off their nests while armed with rakes and welding gloves and chased many a runaway as the sun goes down but I have never hatched these feathery fiends from eggs before. It has been a fantastic project to be part of with my little three to five year old friends and fellow educators. There have been so many questions, wonderings and preschooler theories as well as art works, stories and craft creation and the perfect excuse to indulge in the Chicken Dance day after day. I can say with absolute certainty that we have all taken part in the learning, and fun here! 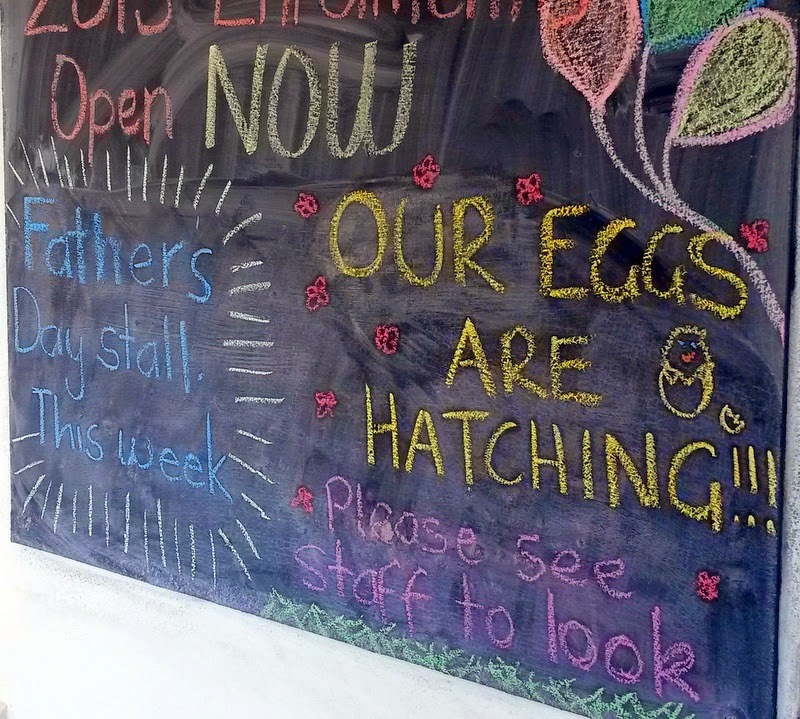 Have you ever hatched chicken eggs? 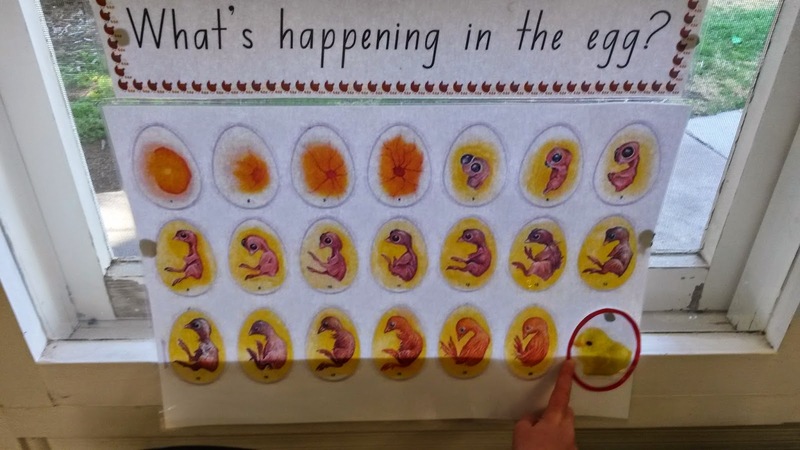 Oh I just love it when we do egg hatching at kinder... my three big kids have all done it and I think my small one will have it at his kinder soon too! And I remember doing it when I was teaching! SO MUCH LEARNING!! Oh and I love your chalk board with all the messages... might have to steal that idea if I ever go back to teaching! Thanks Kate! I agree, it has been amazing. I hope we get the chance to do it again. Thank you Jane. He was certainly not the only excited one this week! God Bless Rainbow Preschool indeed! What an amazing experience for the children. 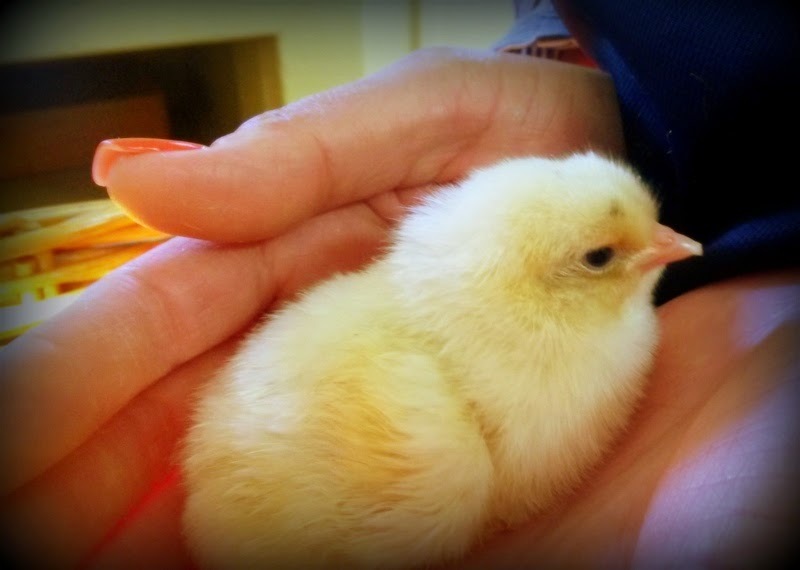 I would love to hold a warm fluffy squirmy chick again. Good work. H doesn't remember Granny holding the chickens for him...but he is still not keen to go solo!!! They are rather Rae! It is difficult to get any other work done while they are around!! We've only seen them at a farm zoo, so soft and cute! I bought two chooks that had been raised from eggs from the high school last term, they've just started laying eggs!